State Congress, too, supports simultaneous polls, but other parties, such as the Left, feel it will hurt the country’s federal structure, said sources. Ahead of the upcoming State Assembly polls later this year, the state-level committee constituted by the Madhya Pradesh government, to explore the idea of simultaneous elections to the Lok Sabha and Assemblies, has backed the ‘one nation, on election’ plan. The committee, headed by Legislative Affairs Minister Narottam Mishra, submitted its report to the Centre and to the Election Commission of India on September 9. The report by the committee said that ‘one nation, one election’ would reduce the poll expenditure, and will increase efficiency. The Congress in opposition has also agreed to the plan, claimed a member of the panel. Mishra said, “We invited suggestions and held meetings in Bhopal and Indore to collect feedback on ‘one nation, one election’ from political parties, voters and citizens. We have finalised the report, and have submitted it to the Centre and EC.” The committee was formed by Chief Minister Shivraj Singh Chouhan in March this year, which was asked to submit its report within three months. The panel included Principal Secretary (Legislative Affairs Department) Veera Rana and MP Tourism Corporation Chairman Tapan Bhaumik. Bhaumik has taken a step further, and has suggested that even civic body elections should be held concurrently. Recently, BJP President Amit Shah, in his letter to the Law Commission, argued in favour of simultaneous elections, and claimed that 11 state governments had showed their support. 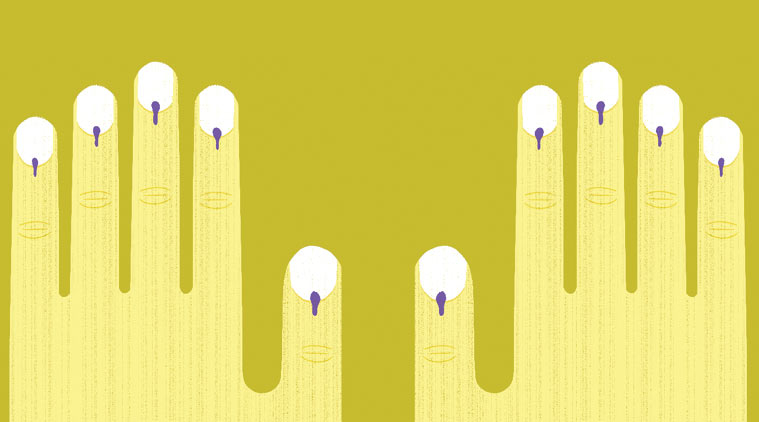 Will simultaneous polls spur work efficiency? To seek views from the legal experts, thinkers, media representatives, public representatives and the voters, the committee held two meetings – one attended by the various political parties’ representatives in Bhopal, and another in Indore, attended by social leaders. After discussions and consultations, the committee, in its comprehensive report, recommended simultaneous elections to Lok Sabha and assemblies of different states to support unhindered development, said sources. The report says, "Simultaneous elections in the country would increase work efficiency, improve law and order situation as most of the time when elections are held, police and administrative staff remained busy in poll duty. It would also reduce expenditure in conducting elections.” According to the sources, the report also said: “‘One nation, one election’ concept would bring transparency in the working of the new government, and ensure that the Lok Sabha or state assemblies complete their five-year terms. It would also reduce the significant amount of time spent in conducting elections in terms of the use of police and paramilitary forces, government staff on election duty, organising booths and elections centres, EC staff, voter slips, and electronic voting machines (EVMs).” "The imposition of Model Code of Conduct hampers the development, welfare schemes of the central and state government, and hit the infrastructure projects hard. It also takes away time and diverts effort from governance issues,” said a member of the committee. Committee member Bhoumik said, “Besides holding elections of Lok Sabha and Vidhan Sabha simultaneously, elections of Nagar Palikas and other local bodies should also be conducted concurrently to save time and money. During the committee discussions, all political parties, including the main opposition Congress have agreed to this concept. However, members of the Communist Party, Bahujan Samaj Party and Aam Aadmi Party have shown their disagreement.” Senior leader of Madhya Pradesh CPI(M), Jaswinder Singh, alleged that the BJP was pushing for simultaneous elections because of fear of loss. No political party except for the BJP – not even Congress – is ready to take part in unanimous elections, he claimed. “Conducting general and assembly elections together may hurt our federal structure. Separate elections strengthen democracy. Imagine the situation if any state gets the hung result. What will the election commission do then? [They will have to] either go for re-election or impose president’s rule in the state,” said Singh. Justice (retired) BS Chauhan, Chairman, Law Commission, has argued in the draft report on the subject that intention to initiate a healthy and sustainable debate on the simultaneous polls is important by involving all the stakeholders, but the simultaneous polls are “not possible within the existing framework of the Constitution”.